I have seen a few recent posts about the new epubisher. Which makes it a bit confusing that their website proclaims: "We've been involved in electronic publishing since 1998" oh, and "since 1999." Apparently that was an ezine rather than an epublisher per se. "Mocha Memoirs Press is seeking submissions for our official launch in January 2011 and for early spring 2011." "We’re currently looking for titles in the following genres: horror, science fiction, fantasy, and romance.... paranormal romance, science fiction romance, fantasy romance, and dark fantasy romance. We’d like to see submissions in these areas as well. Our interracial romance titles have been very successful, so feel free submit those also." 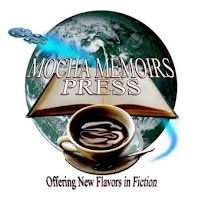 "Nicole Givens Kurtz ... Publisher/Editor-in-Chief Mocha Memoirs Press, LLC. "